Earlier this week I initiated a challenge to the entire polymer clay community: to challenge yourself in 2015. I challenged all polymer clay artists to start and finish a minimum of ONE project a week. With all the new & exciting things that are opening up in the polymer clay community, it’s time to challenge yourself! If I can do it, so can you! Make 1 new Parker StoryBook Scene OR figurine a week. 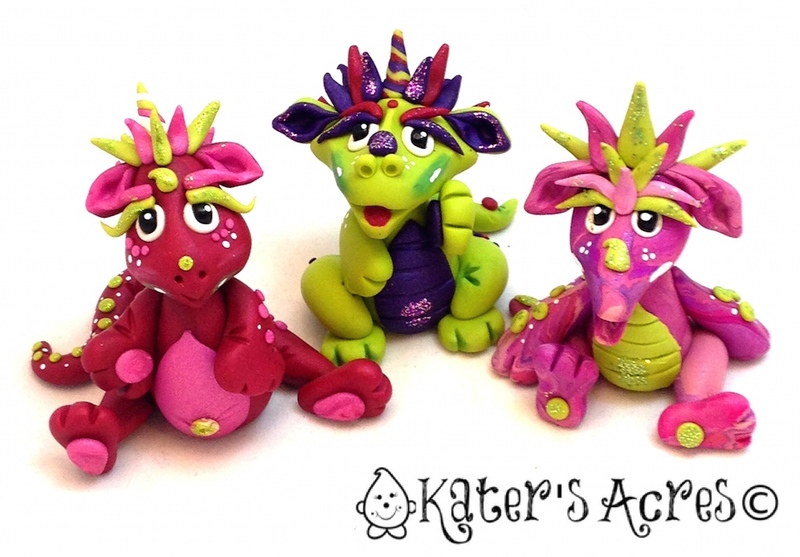 Make 1 new Dragon, Beastie, or other Magical Creature for Parker’s Magical Forest per week. So in addition to Polymer Clay Adventure, The Pavelka Project, being a part of the 2015 Sculpey Design Squad, & Parker’s Tutorial Club, somehow I will conquer this as well! I want to join the 2015 Polymer Clay Challenge and also attend the virtual retreat. Wouldn’t that be the bomb?